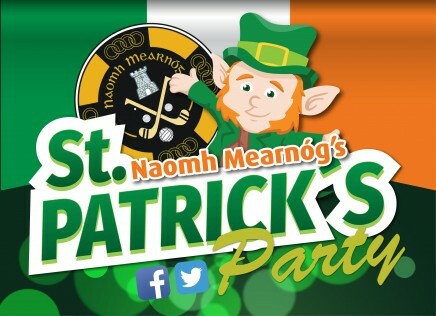 We are hosting a St Patrick’s Day party in the club on Saturday the 17th of March from 2pm – 6pm. There will be plenty of free entertainment for all the family to enjoy, In the function hall we will have a wide variety of children’s entertainment including a Kids Disco, Puppet Show and Magic Show while upstairs in the bar we will have live coverage of the Six Nations, All Ireland Club Championships and a Trad Band. Why not pop up and support Ireland in your local club! The coffee shop will be open on the day in the function hall.